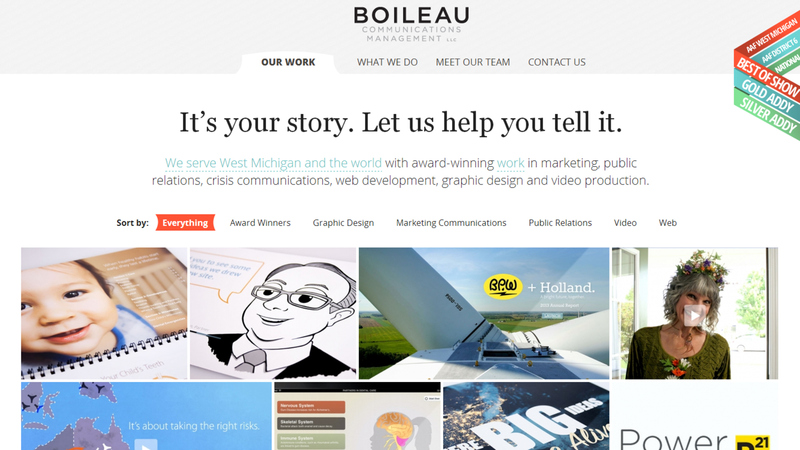 While working at Boileau Communications Management LLC last year, I managed strategy, designed and developed the company's portfolio and corporate website. 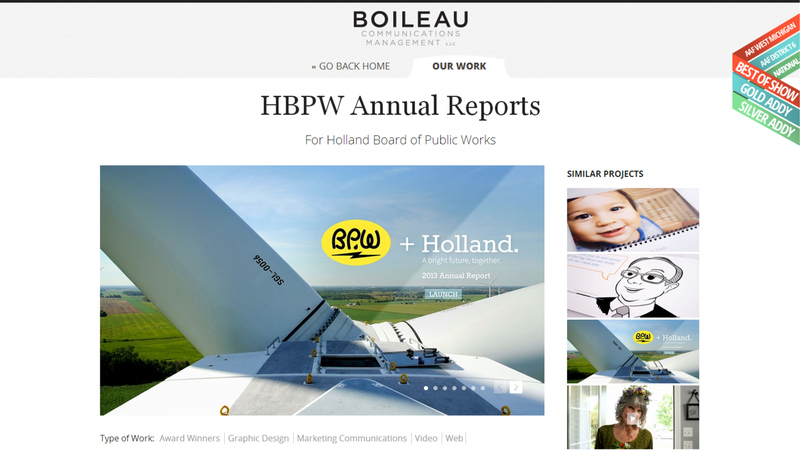 Boileau needed a site that loaded quickly, headlined the work and used minimalist, responsive design. 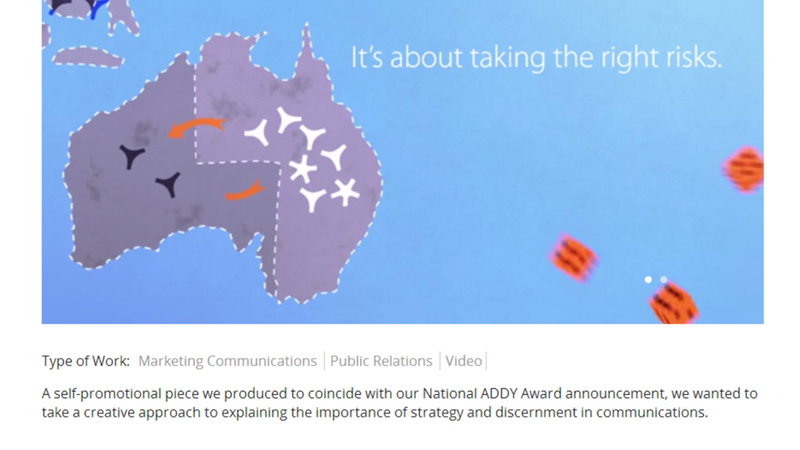 The home page features a responsive matrix of work. 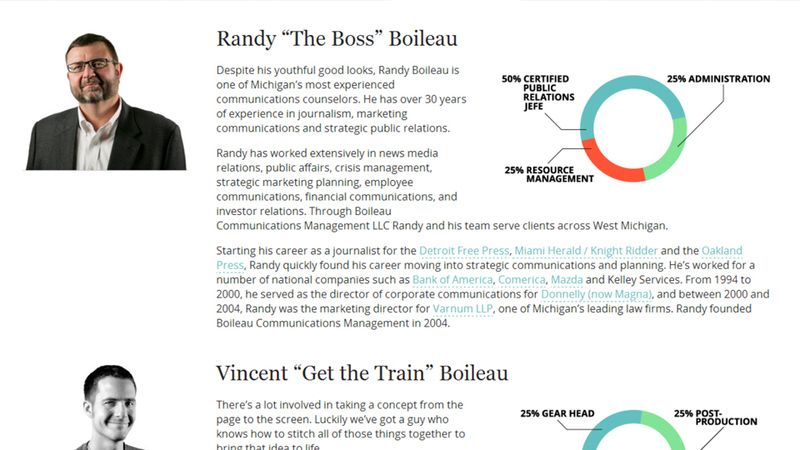 Although the site functions effectively as a one-pager, we utilized separate sub-pages for projects to leverage SEO, and provide simple, private links to individual stories. At Boileau, we don't like to take ourselves too serously. The responsive portfolio page sliders provide inline video playing capabilities, powered by Vimeo Pro.